Home / FoodVacBags.com Blog / What Dogs Make the Best Hunting Partner? When it comes to hunting, it's always nice to be able to take your loveable but resourceful partner, man's best friend pooch. 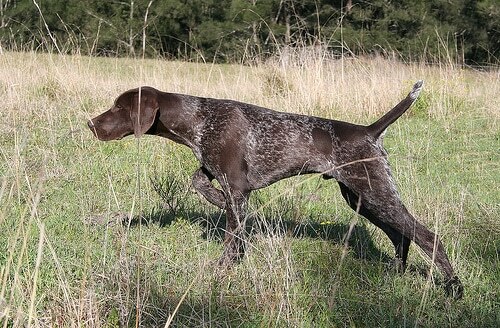 Here are the Top 10 Favorite and Best Hunting Dogs per WideOpenSpaces.com. It's right there in the name. Most retriever breeds make wonderful hunting dogs, and the Labrador might just be the "ultimate" hunting dog. With bundles of energy, a cold-weather coat meant for long days outdoors and on big ranches, and the willingness to go to any lengths to retrieve your kill, the Labrador Retriever is best for duck hunting, but can help you out with any type of small game. Just make sure your hungry Lab doesn't eat the bird for him or herself. Perhaps seen as the "iconic" hunting dog, the Beagle is much like the American Foxhound in its persistence, energy, and love of the chase. Its short legs handicap it somewhat in the pursuit of bigger game, but if you are hunting varmint like rabbits, the Beagle is your dog. 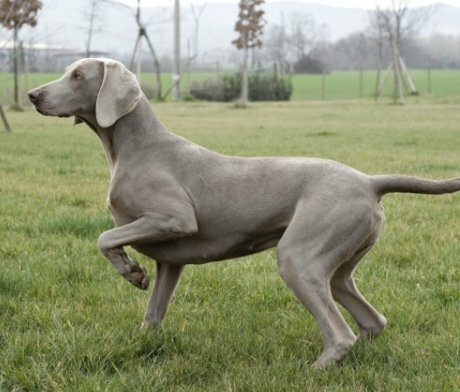 Unique and elegant looking, with long legs that may make them look awkward at first glance, Weimaraner dogs are fast and calm, perfect for hunting pheasant, quail, or other birds.